Flat feet are a common phenonenon in children, particularly in boys who are overweight and do not exercise much. All babies are born with flat feet, but most develop arch structure by age six. It is estimated that a third of individuals do not develop an arch at all, however. Sometimes lacking a foot arch doesn’t cause any trouble and those with this problem will go on to lead perfectly comfortable, healthy lives. However, more often than not, foot pain becomes problematic later in life after years of wearing shoes not designed for perfectly flat feet. Having flat feet can alter foot position, gait, and balance as well. The good news is that recent research suggests the answer for preventing flat foot development may be as simple as enrolling your child in Judo lessons! For the study, Polish researchers recruited 29 boys enrolled in 90-minute Judo classes three times a week and compared the cohort to 29 boys who didn’t participate in sports outside of regular gym classes. Both groups involved an average age of 11.5 with similar body types. Researchers checked foot arch height in both sitting and standing positions and measured balance by asking the boys to stand on one leg on a one-inch strip of wood for as long as possible, while holding the other leg bent at the knee. Judo participants were able to stand on one leg for 125.1 seconds compared to 27.3 seconds in the control group. 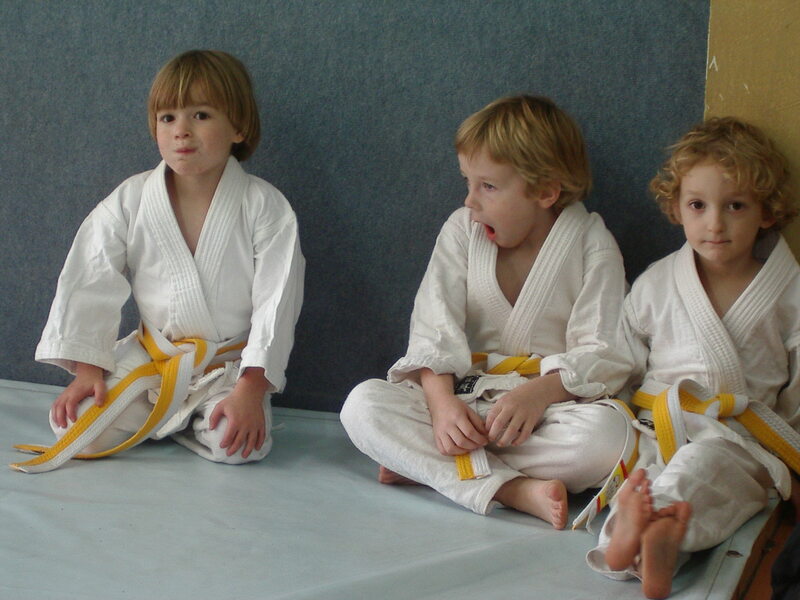 The Wall Street Journal adds that Judo is a fun fitness activity for children and is generally a more appealing option for boys than traditional gymnastics, which tends to attract more girls.2http://www.wsj.com/articles/is-judo-a-fix-for-flat-feet-1437406039 Judo is performed mostly barefoot on a soft surface that stimulates sensory receptors on the bottom of the feet, ultimately aiding arch development, researchers said. As we mentioned, the presence of flat feet alone is not always a cause for concern. However, a small percentage of children suffer from a condition called “rigid flat floot,” where pain is present and the child has trouble moving the foot up and down or from side to side. This condition is most commonly observed in the teenage years and can lead to arthritis later in life if it’s not addressed at this point. Sometimes we field calls from parents who wonder if shoe inserts are necessary to facilitate arch development, but inserts may cause more problems than flat feet themselves. While we do take computerized scans and send away for orthotic inserts right here in our offices, we advocate the use of orthotics on a case-by-case basis, as every individual has a unique anatomy. There is no harm in stopping by The Center for Podiatric Care and Sports Medicine to have your child’s feet checked out. If no pain or abnormal gait patterns are observed, we generally tell parents to leave well enough alone. In some cases, a child has tightness of the Achilles tendon and calf muscles causing the flat feet, which can be treated early with stretching exercises to ensure full mobility, flexibility, and comfort. It is difficult for your child to stand on tip-toe. The Center for Podiatric Care and Sports Medicine in New York City specializes in foot and ankle injuries and conditions. We have surgeons on hand to care for emergencies as well as a team of experienced sports medicine doctors adept in physical conditioning and therapy. Our a full suite of diagnostic tools ensures your child gets an accurate, comprehensive diagnosis the first time, while our investment in advanced therapies like platelet rich plasma, ultrasound therapy, and pulsed lasers brings you the least invasive treatment methods. Contact us to learn more about how our experienced team of doctors can help help you.